Vivid, stylish, at times outrageous, Ghetto Celebrity traces author Donnell Alexander's rollercoaster journey out of small-town obscurity and drug abuse through self-reinvention as a writer, and his rise to underground fame in the West Coast alternative press scene. Throughout his struggle to turn the tide of his life, Alexander is dogged by the ghost of his absent father, a larger-than-life character who wields a powerful pull on his son just by virtue of being missing in action. And as Alexander becomes a ''ghetto celebrity'' for his writing--with a national platform for his words and a circle of pop icons as buddies, but also with a corporate structure that wants to water down his work to make it more widely palatable--the search for his MIA father takes on mythic proportions. 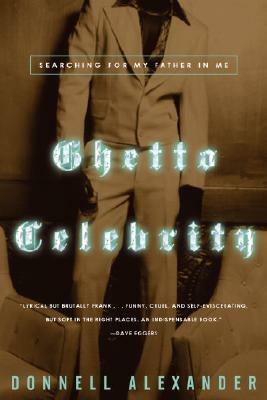 Like A Heartbreaking Work of Staggering Genius, Ghetto Celebrity turns the memoir genre inside out and upside down, and takes a wildly imaginative stab at reinventing it altogether.